"I really honestly don’t presume that anything that I do deserves anything. Music’s a very personal experience and it's something that everyone hears differently and experiences differently." 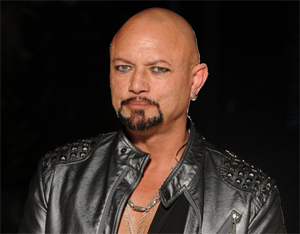 Just as the holiday season swung into high-gear, I had the much anticipated honor of interviewing “The One and Only” Geoff Tate, former lead vocalist and frontman of QUEENSRYCHE, who is currently fronting his solo band and project OPERATION: MINDCRIME. Geoff had just finished completing the third and final chapter of his musical trilogy, The New Reality. Quite naturally he was ecstatic about completing the trilogy and proudly being able to close the door on a chapter of his life that will inevitably become a part of his artistic legacy. The New Reality was completed just over one year after the release of the second chapter, Resurrection, in 2016 and about two years after the first chapter, The Key. 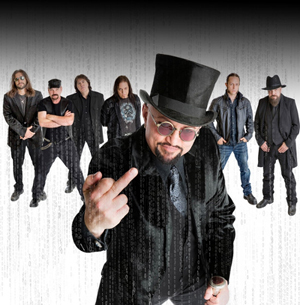 Although I was a bit nervous going into the interview, he quickly made me feel at ease with his down-to-earth personality and his extremely polite and soft-spoken disposition that ultimately allowed me the sincere and grateful privilege of getting to know the real Geoff Tate, a true child musical prodigy with one of the most recognizable iconic voices today. Geoff’s trilogy was completed together by some of today’s heavy hitters along with his longtime band members: Simon Wright (OPERATION: MINDCRIME, AC/DC, DIO, DIO’S DISCIPLES, Kelly Gray (OPERATION: MINDCRIME, QUEENSRYCHE, Geoff Tate’s QUEENSRYCHE, Brian Tichy (WHITESNAKE, OZZY OSBORNE, THE DEAD DAISES, RANDY RHOADS REMEMBERED), Scott Moughton (OPERATION: MINDCRIME), Mike Ferguson (OPERATION: MINDCRIME) and Scott Mercado (CANDLEBOX). KNAC.COM: First and foremost, on behalf of your fans, myself and KNAC.COM, thanks so much for chatting with me today. If I may, I’d love to start our interview off with a few questions of how you first got started in the music business as a frontman and a lead singer? TATE: Yeah, sure! Well, let’s see if I can remember that far back (laughing)! I started out when I was a kid playing music and music lessons. I was in a school band and church choir, an elementary school band, and then junior high band and high school band. I’ve always been kind of working my way into music since I was a child, really. And when I was in high school I started playing outside of school with some of my friends who were in a school band and we started writing our own songs and that lead to working with other bands as time went on, and then finally my first situation with a record company was in the early eighties when QUEENSRYCHE, a band that I’d been working with got signed. And so, that kind of started me off as a professional at that point. So, that’s kind of how it all kind of happened, really. KNAC.COM: How young were you when you first started, you didn’t say? TATE: I was nine when I started playing piano. KNAC.COM: Which singer are you most inspired by and why? TATE: Oh gosh! Oh, there are so many wonderful singers. You know, I didn’t start out being a singer, I was a keyboard player and piano player, and trumpet, and saxophone player. And I only really started being a singer because my friend’s band, who was practicing in my grandmother's spare room, their singer got really sick and couldn’t sing anymore and moved away, and they needed a singer and I knew some of the songs and I just kind of sat in with the band one day, and sang the songs and they decided that I was good enough to be their singer so (laughing), I started singing in their band. And so, I was playing keyboards and singing in the band at that time in the seventies I guess it was. KNAC.COM: Did you ever take vocal lessons? TATE: Yeah, I took all kinds of lessons when I was a kid growing up. I took piano lessons, I took trumpet lessons, singing lessons, you name it! KNAC.COM: How do you keep your vocals on point? Do you have an exercise regimen that you adhere to? TATE: Yeah, I suppose I do! Typically during the day for a singer you get up in the morning and you just start humming and whistling to yourself and singing lightly, and then that kind of turns into vocal scales that you do throughout the day, and when you are on tour, it’s a lot more regimented, your rehearsal practice is a lot more regimented. But I try to keep that up when I’m not on tour as well just to keep myself “on point” as you say. 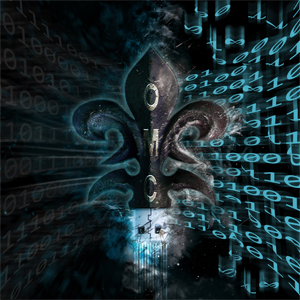 KNAC.COM: Are you still working on an Operation: Mindcrime screenplay and if so, will you kindly give us a status update? TATE: I’m not working on one at the moment. 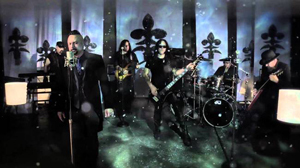 Operation: Mindcrime, which was an album that came out many, many years ago has been presented to become a film many times throughout the years. This year 2018 will be the 30th anniversary of the release of the record and in that 30 year time to my knowledge it's been almost a movie at least four or five times by different people writing screenplays and I’ve written a screenplay myself. Right now, somebody else is writing one for it and I don’t know what the status of that is at the moment because I haven’t heard back from the person. Yeah, it’s a long journey to turn a record or any kind of screenplay into a film. It takes years and years and years for that to happen but hopefully one of these days it might reach the right people at the right time. KNAC.COM: If that ever happens, which director would you recruit or want to have direct it and why? TATE: (Pausing first) Ummm, I don’t have anybody really in mind at the moment. I guess if I had the power at that point to pick somebody and the ability to do it, I’d try to pick someone that was sensitive to the story and wouldn’t be looking to change it for the sake of changing it but to kind of keep it more of in the realm of where it started out being from I suppose. KNAC.COM: You were a part of the line-up of vocalists that recorded the song “Stars”. How cool was it working with the late, great Ronnie James Dio on this project? TATE: It was great, it was really fun and very challenging and at the time for me being a new young singer it was very stressful (nervously laughing). I guess I should say because I was being put in the studio with all of these really experienced people who have made many, many albums and I had only at that point made two. So, it was quite an amazing experience for a young person to be involved with and being in that company of incredible musicians and I was very honored and thankful to be asked to be part of it. KNAC.COM: I can't believe that you would be under stress because you're an amazing vocalist. Watching you every time I see you live you blow me away, your vocals are amazing. KNAC.COM: How is your wine brand doing and are there any other business ventures that you are involved with outside of the music industry? TATE: Yeah, the wine brand is doing great! Yes, the new vintage came out this year 2017 and we’re actually going to be releasing it in the United States this year, it’s the first time. I switched my production over to Europe in Germany to be exact and so this is the first year that we’re going to be releasing it in the United States and so I’m very excited about that. My brand is called Insania and we make a red and white wine. They’re both really, really, really good, really different and unique, and I think people that really like wine would really enjoy my wine. KNAC.COM: You’ve recently released the third and final chapter in a music trilogy, The Reality, with the first being The Key and the second of course being Resurrection that you’ve produced with your bandmate Kelly Gray. I’d love to discuss it if I may? What is your process when you're writing a song? Do you start with the concept, vocal melody, guitar rift or do you write to a finish track? TATE: Well, typically for me it starts with me just trying to paint the picture of the mood I’m in at the moment. I just sort of try to capture the moment in music really. If I’m feeling happy I try to create that, if I’m feeling pensive I try to create that, suspenseful I try to create that and then once I get a mood established, then I just decide what do I want to do with that mood or that piece of music that is going to be included on. If I’m working on a particular project typically that project will be considered first for that particular piece of music. So in terms of writing with the new album it was a part of a three-part trilogy and a story told in three acts really. So, pretty much everything that I’ve written in the last couple of years went towards that to complete that project which now it’s completed and so I can do other things with my life (laughing). KNAC.COM: Was there an album that you personally loved but didn't receive the love and reviews from the critics you felt you deserved or it deserved? TATE: Well, I really honestly don’t presume that anything that I do deserves anything. Music’s a very personal experience and it's something that everyone hears differently and experiences differently. Some things you like, some things you don't get, some things grow on you, you just never know. And so, I don’t presume that anything I do is going to be immediately accepted by millions, and millions of people, but I’m always surprised when it does (laughing)! KNAC.COM: What are some of the challenges that you faced during the writing and recording process for The New Reality? TATE: Well, it was a large project, three albums worth of material and that just takes a lot of time to put together, a lot of energy, a lot of focus. So, I think probably my greatest challenge was just staying with it and keeping the ball rolling when it came time to record and getting it all organized and in place. There were a lot of people that contributed to the album, players, and keeping track of all of their performances was quite a lot of work because sometimes on a track you’d have six or seven different players playing on it and maybe you’d have six or seven drum takes from one drummer and five from another one on the same track, so you’d have to figure out who played what and keep track of all that. And so, there was a lot of decision making going on. So, yeah, I’d say that probably the biggest challenge of making this whole project was really the organization of it all. KNAC.COM: Which track are you the most proud of and why? TATE: Ummm gosh, hmmm (pausing), I don’t know if I have one really. I like them all for different reasons. I think they all kind of work together to tell a story and there’s a track on the new record called “All For What” which I’m quite fond of that was the last piece of music that I had written for the album, so it’s probably where kind of all of my thoughts went into that song at the end. KNAC.COM: How soon can we your fans expect to see you? TATE: I begin my touring cycle in January starting in Dublin, Ireland and I’ll be touring in Europe I believe until the end of April and then I start in North America in the Fall and so it will be a while yet until I make to America. KNAC.COM: Speaking of the guys and touring, you’ve always toured with some of the most impressive musicians of today. With that said, I've noticed that your studio band now includes three new members and world-class musicians Brian Tichy (THE DEAD DAISES), Scott Mercado (CANDLEBOX) and pianist Mike Ferguson. Are they permanent band members and can we expect to see them on the road with you? TATE: No, I don’t have a permanent band. After spending 30 years with the same band QUEENSRYCHE, I kind of like playing with different people and having new players come in and out. And so over the last few years I’ve played with a lot of different people and I’m really enjoying that. Just recently I played with one, a wonderful German band called AVANTASIA. I played with them, last week I was in Brazil playing with a band called ANGRA, which was a fantastic show. I just like to keep it fresh and play with as many great players as I possibly can. KNAC.COM: What are the most important qualities that you look for in a musician that helps you to decide whether or not you can form a working relationship with them in the studio or on the road? TATE: I guess it’s how they communicate and how I communicate with them. Is it an easy back and forth, ya know? Is it tedious (laughing), are we able to understand each other? You know that makes a big difference. KNAC.COM: Today's music industry has changed so much and now has several world-renowned bands now playing smaller venues. What do you think has lead to this drastic change? TATE: Drastic change in the music industry, in what respect do you mean? KNAC.COM: Well now you’ve got bands like QUEENSRYCHE and yourself playing much smaller venues here in the States as opposed to the arenas that you once played in before so what's changed? What do you think happened that made that happen? TATE: Well, QUEENSRYCHE was never a huge arena band, we had one moment in our history on the Empire album that we played a series of shows for a very limited time in an arena and didn’t really sell anything out. (laughing) It was kind of a difficult, I guess eye-opening experience. We opened for a lot of arena bands at the time, bands that were really big. Actually we were like a permanent opening band for a lot of people but QUEENSRYCHE was always a theater band or a large club, or a small venue band. We appealed to a pretty eclectic audience, we weren’t really built for mass consumption. We did have a moment, a moment in time where we had a huge selling record. Empire was a huge selling record but like all things, times change and honestly rock music is not the music of the times anymore, you know, it’s not especially in America. So, I feel very fortunate when I go to a club and play it and hundreds of people show up. (laughing) That’s great, I’m very happy with that. KNAC.COM: Do you believe that rock and metal is on it’s way back? TATE: Back, you mean as in popularity? Oh, I highly doubt it. Yeah, I highly doubt it, not in this generation. (laughing) Maybe in a couple of generations it will be like kind of looking back at what was popular and maybe a new form of it will come up, but no, it's not, it’s definitely not the music of the times in America. In other parts of the world like South America for example a band, a rock band or a metal band can play a large show and maybe pull 5000 people and that’s considered very big but it’s rare, really rare. KNAC.COM: What type of music do you believe has replaced rock and metal here in the States? TATE: Ummm, well music that has dance rhythms, music that is considered pop music now is music that doesn’t really have guitars now and so it’s a different world. In fact, you don’t even really hear guitar solos on pop music anymore which is kind of strange (laughing), but true. KNAC.COM: What are your passions outside of the music world? TATE: Well my biggest hobby is winemaking and I’m pretty pre-occupied with that most of the year when I’m not in the studio writing or on the road. Ummm, let’s see, my wife and I enjoy...we like old houses and we recently purchased an old house that’s 115 years old and we’ve been restoring it over time and doing things like redoing the wood floors and painting and doing electrical work and that kind of stuff. I enjoy a bit of carpentry work and I’ve kind of been doing that in my spare time. KNAC.COM: Are you restoring that back to its original state? TATE: Yeah. Well, it wasn't too far gone when we got it and that’s the reason why we bought it is that it was pretty well kept up and the people that owned it hadn’t done any modernization it. It hadn’t actually had anything done on it since the 1930s (laughing). Yeah that was pretty cool! So, we really latched onto it quick because it was really like this beautiful little diamond, it just needed to have some polish put on it. KNAC.COM: So when you’re done with the renovations, will it be closer to the period of when it was designed with a few modern updates? TATE: Yeah, yeah, we are kind of trying to do it tastefully like add plumbing to it, of course modern and modernized electrical from the electrical and the plumbing end. But we had to put a new kitchen in but we did it by creating this kind of period styled kitchen but with modern conveniences. So it looks like it’s suppose to look rather than a lot of times people do remodels on things and they change the architecture radically, they create this modern decor inside that doesn’t fit with the actual architectural style with the exterior or the interior too. KNAC.COM: How do you prefer to relax during your downtime and where do you relax? TATE: Ummm, I don’t really relax. (laughing) Yeah, I'm pretty interested in doing things so if I'm not traveling, I’m working on the house or if I’m not doing that then I’m in the studio writing music or if I’m not doing that, I’m tending to my wine business. That’s kind of the way things roll around here there’s always something going on, I’m never bored! KNAC.COM: Who are some of your favorite music artists? TATE: Gosh, I grew up in that wonderful period of the 60s and the 70s and so, I really got exposed to a lot of different kinds of music without the genrefication that we have nowadays. So, I guess I had kind of a more openminded music experience growing up, which a lot of kids don’t have these days because there’s so much emphasis put on lifestyle connected to music, like it's not cool to listen to this, it’s cooler to listen to this. And you get identified by what kind of music you listen to, what kind of clothes you wear. That kind of thing wasn’t so prevalent when I was growing up so we were exposed to all kinds of different musical styles. So gosh, I grew-up listening to Aretha Franklin, I grew up listening to THE EAGLES, Motown stuff, Miles Davis on the jazz end. I grew up listening to David Bowie, PINK FLOYD and all of the “art rock” as they called it then. And so, I don’t really have favorites really to answer your question (laughing), I have a lot of appreciation (laughing). KNAC.COM: Listening to the new album, for whatever reason there was something in there that reminded me of David Bowie. Is there anything in there where he influenced the songwriting or the lyrics because when I heard it, I thought David Bowie. Did I hear that right? TATE: Oh, it could be. David Bowie’s been pretty influential to me growing up. I was ten years old when “Space Oddity” came out and that has been with me ever since. His kind of vocal stylings and some of his phrasing, I think I probably picked up along the way. KNAC.COM: So, what is the genre of music that dominates your collection and why do you think that is? TATE: Well, I own about 12,000 albums now so, yeah I’ve got a lot! I think it’s more...I guess probably the most dominating if I was going to say genre would be jazz. I’ve always been fascinated with jazz, it’s very difficult to play and to wrap your head around for a musician. It’s challenging to understand what’s going on when you listen to some of these jazz players like Miles Davis play. KNAC.COM: Which social media platform do you prefer and interactive directly with your fans on? TATE: Hmmm, probably Facebook I guess. KNAC.COM: Do you sometimes respond to fans personally on Facebook Messenger or just in your stereotypical threads on Facebook? TATE: I don’t typically respond one on one with people. I’ve got six or seven hundred thousand people on my thing and so it could be kind of tedious to answer everybody all the time. It’s just almost impossible and so I have somebody that takes care of that for me and kind of keeps it running smoothly. KNAC.COM: A lot of the artists do I’ve noticed, but on occasion will you actually get on the thread and maybe comment possibly directly? TATE: I don’t usually do that, no. KNAC.COM: Do you have a personal message that you would like to direct your fans or is there anything in particular that you would like to make mention of? TATE: I’d like to say is thank you for supporting the music all of these years, and thanks for the interest that people have shown in the music and I hope to see everybody out on the tour this year, it’s going to be a fantastic tour. 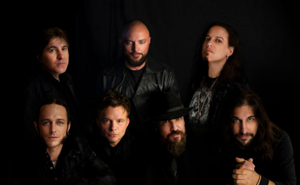 I’m really looking forward to this year’s touring cycle because we’re performing the 30 year anniversary of Operation: Mindcrime, the first album and so we’re going to be playing it in its entirety during the show and I haven’t done that in a while, so I”m really looking forward to that.